Though Medicaid helps millions of people throughout Michigan, qualifying for its assistance when the need arises is not guaranteed. 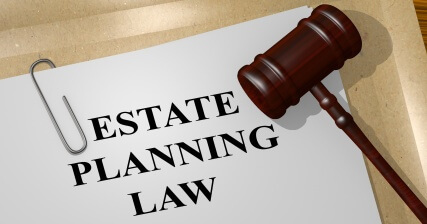 To avoid the possibility of you or your family member being turned down for Medicaid benefits, consider sitting down with an estate planning attorney — one who knows the intricacies of Medicaid in Michigan and can make sure you qualify for benefits when you need them most. Today, we know more about medicine, illness, and disease than ever before and because of that people are living longer. That’s why it’s become more important to plan for extended care. Having a solid long-term care strategy in place prior to needing it assures that you and your family will be cared for when the time comes. Part of that long-term care strategy may include incorporating Medicaid. The government has financial requirements in place to determine who qualifies for Medicaid. Therefore, it may be necessary to restructure your assets in a way that complies with the rules of Michigan’s Medicaid program. When you consult with our central Michigan law firm that thoroughly understands the intricacies of long-term care (including the integration of Medicaid benefits), you can be assured that your needs and goals will be assessed and addressed — all in an effort to help you avoid financial hardship when you most need a sense of peace. It’s safe to assume that we all have the similar goal of making it through our twilight years without serious financial hardships. Although long-term care may be a very real possibility for this generation and those to come, it does not mean that we must spend all we have worked for to pay for it. By understanding how benefits qualification pertains to you, we can make sure that your hard-earned money is not spent on future nursing home care. While applying for Medicaid benefits may seem straightforward and simple, it most certainly is not. The assistance of a knowledgeable lawyer can prevent you from making a mistake or committing an oversight that may result in benefits denial, costing you thousands of dollars (and plenty of unnecessary stress). The team at Barberi Law, serving the central and mid Michigan areas, is here to help you decipher Michigan Medicaid qualifications and meet your long-term care goals. Contact us today via our webpage, or call us at (989) 546-7124, to schedule your consultation . . . and begin your journey toward long-term care peace of mind.